A previous post in the Story of Eileen series (HERE) made me re-evaluate how I was going about researching the boat’s history. Previously I’ve been so fixated about filling in the gaps in her older history that I ran the risk of completely missing out a part of her history that’s so much easier to research, the history of our own experience of owning the boat! 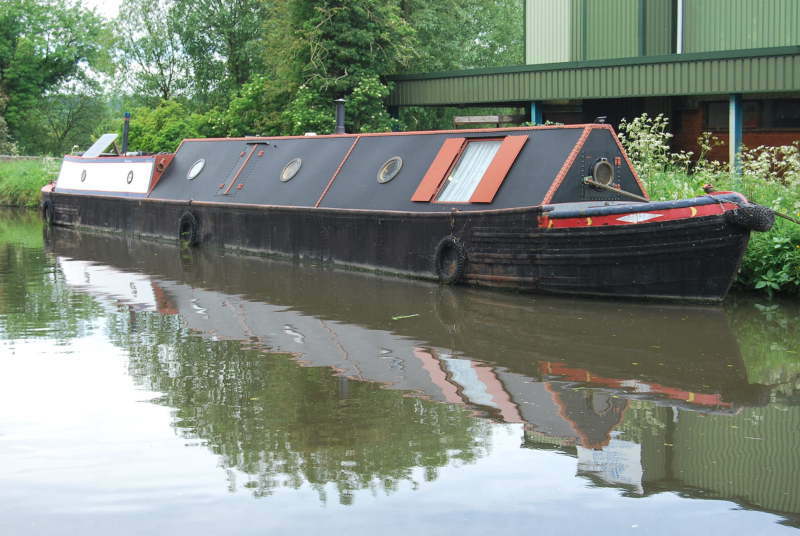 In my first draft of The Story of Eileen (still available HERE) my own experience of owning the boat was consigned to just one line: We bought her in October 2011. Given that such a lot has happened since then (much of it captured in posts on this blog) it’s now clear that The Story of Eileen had a missing chapter, one that started in 2011. Over the next couple of weeks I’m going to try to write it, and hopefully re-visit a few of the early posts along the way. I’m not sure when I started to buy the ‘Waterways World’ again, or quite when I looked up from the awesome responsibility of parenthood and once again saw boats. Perhaps, on the periphery of my vision, there had always been a brassy glint and a wry nostalgia for the great times I’d previously experienced in owning a boat? What is for sure, is that by the Spring of 2011 I was actively scouring websites and magazines, an avid armchair boat owner. 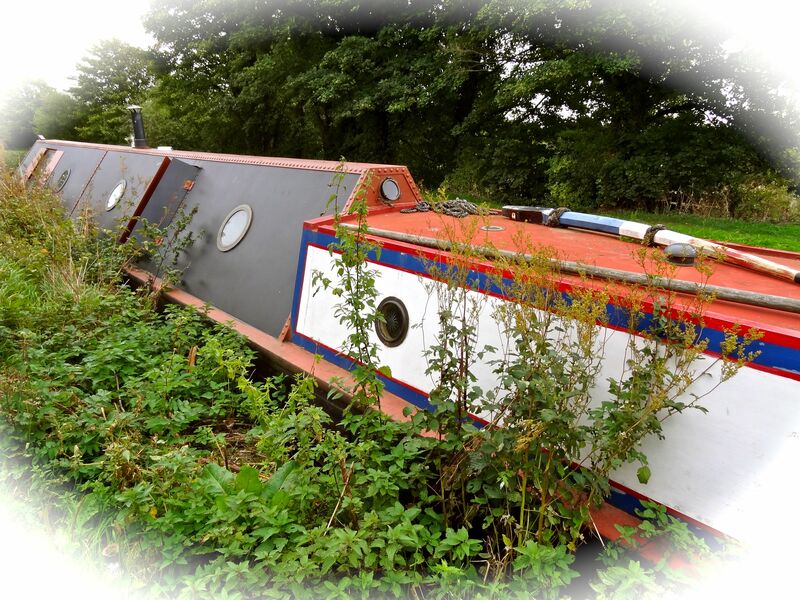 Hebe – a narrow boat in microcosm. In my mind’s-eye I came close to buying the diminutive Hebe, on sale at Brauston Marina, because I thought I only needed a tiny boat, that boats would remain just my thing. My own private passion. I had visions of snatching the odd illicit hour aboard a crazy little boat too small for a grown man to sleep in comfortably. After the Hebe daydream Claire and I talked. She set me to thinking about buying a family boat, albeit still a bargain boat, a starter boat. Our thoughts, by mid-Summer 2011, were sufficiently advanced to visit a number of Midlands marinas and take the family aboard a range of boat within our self-imposed price range. It was a demoralising experience, because without exception the boats were characterless ‘Cortinas’, thin, pale, bland and not what we were after at all. It was Claire, as we drove back from another fruitless viewing, who defined what we were after by saying: “It has to be a boat with soul”. We increased the budget, took a deep breath and began to look at historic boats and talk about a longer term renovation project. 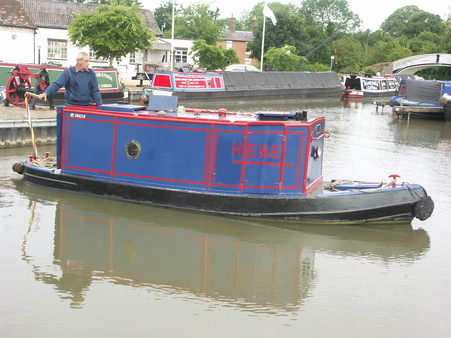 Almost immediately we found a boat on Apollo Duck under brokerage at Great Haywood Boat Sales. She looked quirky, interesting, old, unique in fact, exciting too. An image from the advert for Eileen on Apollo Duck. It was agreed I’d take a look and did so, on the 17th September 2011. (The excitement of that first visit is captured well in the first couple of posts on this blog (eg. HERE). I travelled from London to Great Haywood with daughter Molly, it was just before her ninth birthday. We met a young and enthusiastic broker who explained that the boat was not lying in the marina (that encouraged me because, though a well-presented marina, it was also a pretty generic and soulless kind of place, and we’d seen too many such marinas earlier in the Summer visiting other possible boats). No, Eileen was lying outside the close-cut grass and padlocked gates of the marina – I felt it to be a good omen. We walked up to the junction and into the bustle of the Anglo-Welsh yard on a change-over Saturday. We were directed to the back of the yard, and along bobbing gantries to a narrow path running along the off-side of the canal. Wild flowers grew shoulder-high on both sides of the path, this was more like it, surely it was a path that’d lead to a boat with soul? In the undergrowth lay the Eileen! From the moment I stood on her back deck I knew, without a shadow of a doubt, that I’d found our boat. I took a video, Molly rushed happily back and forth, I snapped photos, Molly snapped photos of ducks. I hardly heard a thing the broker said and drove home on cloud nine to wax lyrical to Claire about what I’d seen. Things moved fast. Within 48 hours we’d put in a provisional offer. The provisional bit being that the whole enterprise rested on the family visiting and saying yes the following weekend. Back in London, and behind the scenes, we consolidated our bank accounts, secured a loan on the boat, and gently pushed our ducks into a row. And, on Saturday 24th September 2011 the whole family decamped into the car and drove the 3½ hours to Great Haywood. The Boys terrified us with their three year old’s confidence, taking to a boat like ducks to water if you excuse the pun; whilst Mol sat on the roof having taken possession of an old fishing net and gently swept the water for tiddlers; and Claire sat very quietly in the back cabin, looked at the painted castles and bouquets of roses, smiled and nodded. I have to confess that I love Eileen too! Next Next post: Silent Sunday 59.